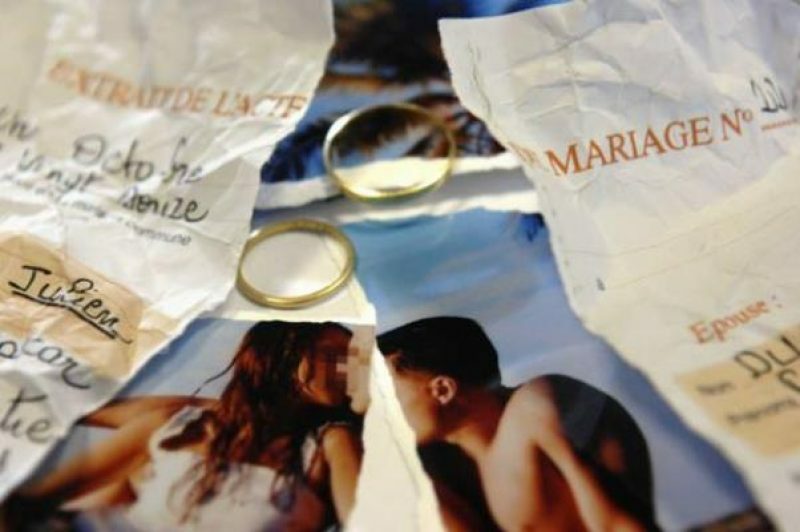 Has divorce in France become another expense that’s just too costly to afford? Several lawyers revealed to radio station RTL that they’ve suffered a drop in activity which they are attributing to the economic downturn. Between all the cost-saving measures arising from prolonged negotiations over legal fees and deciding to use only one lawyer acting for both parties, the risk, according to one of the legal eagles, is of people settling for a “discount divorce”. Even a divorce by mutual consent, which costs “a few hundred euros” according to one of the RTL interviewees, is proving too expensive for certain couples… who will, therefore, remain married. The cost of a divorce varies according to the legal fees of the lawyer or lawyers chosen. If a spouse doesn’t have enough money to engage the services of a lawyer, he or she may be entitled to legal aid, the legal experts pointed out. While there are still no official figures in France to back up the French solicitors’ concerns, the Spanish have been doing their divorce sums. In a country where the effects of the downturn have been far more keenly felt, the number of divorce cases has dropped by 20% in one year.